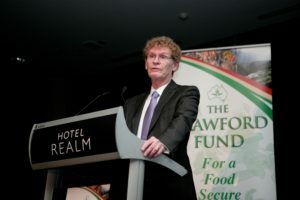 The Sir John Crawford Memorial Address has been held annually since 1985—in honour of the remarkable Australian in whose name the Crawford Fund was established. He passionately supported international agricultural research, and thus contributed at the highest levels to the development of Australia and other countries. 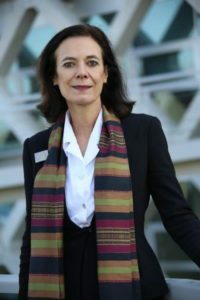 This year’s Sir John Crawford Memorial Address will be presented by Professor Louise Fresco (pictured right), President of the Executive Board of Wageningen University and Research Centre, and member of the Steering Committee of the FAO High Level Panel of Experts on Food Security and Nutrition. Professor Fresco will be presenting insights on where we stand in understanding the future of food in an address titled ‘The Future of Our Food’. Her Memorial Address will be held on Monday 29 August at the Networking Dinner, which precedes the Crawford Fund’s Annual Conference. Our specially styled networking dinner enables participants to meet colleagues and make new connections with a wide variety of peers from across industries and regions in an enjoyable and more relaxed format than a formally seated dinner of previous years. For further details on the conference and our esteemed guest presenters, including Professor Fresco, please visit our conference web pages . Click here for further information about past Memorial Address presenters, including Dr Cary Fowler (pictured left), advocate for protecting crop genetic resources and promoting crop diversity. You can read Dr Cary Fowler’s Sir John Crawford Memorial Lecture here: ‘Facing the uncomfortable challenge of food security’. It has been good to see some further national coverage in Australia this year on the work of Dr Fowler and the Svalbard Arctic Seed Vault. Following the ABC TV ‘One Plus One’ interview with Cary during his Australian visit, the Fund has assisted with national programs by both SBS and Australian 60 Minutes and we are having additional screenings of the ‘Seeds of Time’ movies (details are here).